province of Eskişehir was sentenced to 6 years plus 3 months in prison on charges of membership to a terrorist organization on Tuesday. Mehmet Kuru, a father of one and a long-time Zaman reporter pleaded not guilty during his final hearing while the court in charge sentenced him to 6 years and 3 months in jail. Kuru worked 16 years for Zaman before the newspaper was seized by the government following a violent police raid, last year. 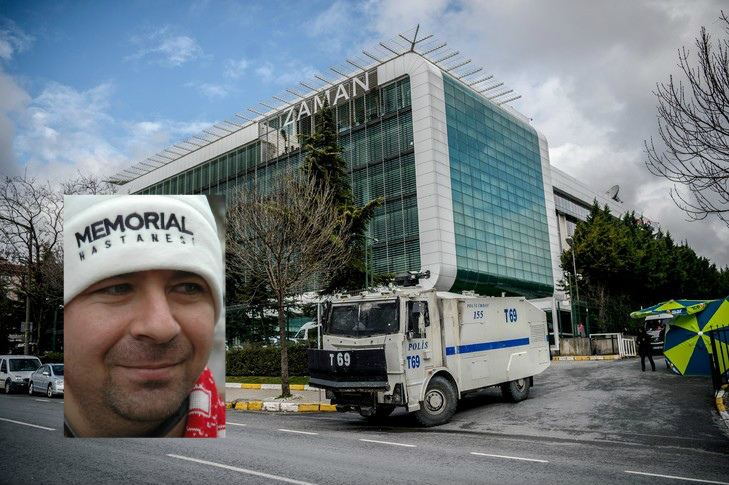 Zaman, like 186 other media organizations, was shuttered under emergency rule, the government declared immediately after the July 15, 2016 failed putsch. Zaman was closed over its links to the Gulen movement, which the government blames for the failed coup and describes as a terrorist organization. The group denies both involvement in the coup attempt and such accusations.